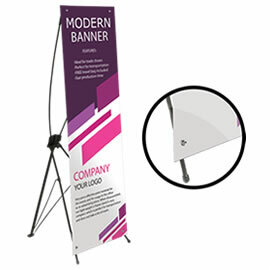 Customized X Banner stand is a fabulous way to get noticed on trade shows, after hour events or just having it as an informative or greeting banner in your retail or office location. 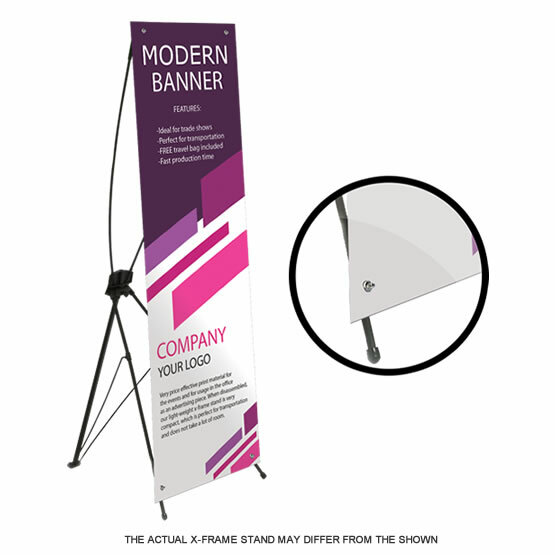 Our X-Frame Banners come with stands, which means you do not have to purchase the stands separately. 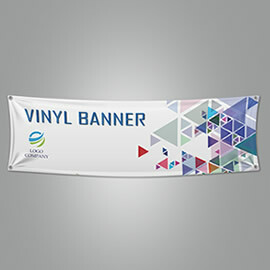 Our customers can have their banner printed on Indoor Vinyl or Outdoor Scrim Vinyl materials. Their lightweight and the ease of assembly, make them ideal for transportation – so you do not have to stress. They can be assembled and disassembled within 2 minutes or faster once you have done that a few times. 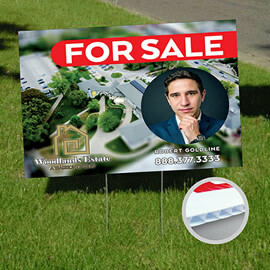 Please note that even if you print your banner on Outdoor Scrim Vinyl – we do not recommend using X-Frame Banners outdoor as their lightweight makes them unstable in the windy environment. If you decide to use it outdoor, please make sure to properly secure the frame to ensure that it would not topple over or fly away. 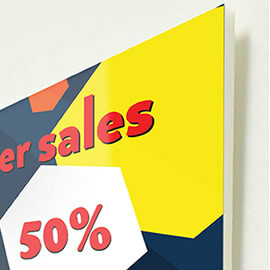 Please also note that printed banner quality is outstanding and meant to be viewed from the distance and not an art quality printing. With our sophisticated online ordering system that calculates an ETA (Estimated Time of Arrival) of your product to your door, you can be sure to receive your order on time. Just make sure to enter your Postal Code in the calculator to get an ETA. 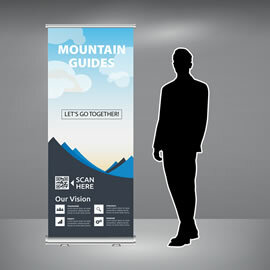 Did you know you can use our online design tool to quickly layout and customize your X Banner stand online? 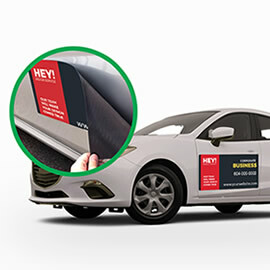 If you need to add text, images and logos to your banner – you can easily do that by clicking on “DESIGN ONLINE” button once you finished configuring your product. If you require much more complicated layout than our online design tool can handle, let us know and our design team will be more than happy to assist you with our design project. For custom sizes and quantities over 10, please do not hesitate to request an estimate, and one of our team members will be happy to get back to you with a competitive quote.